A summer record in the middle of January; it can have its plusses as the long nights of a Northern Hemisphere winter bed in. 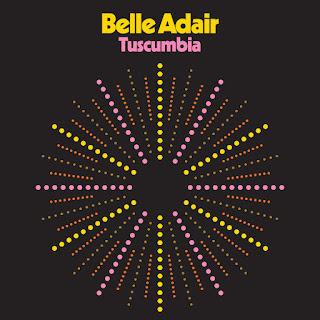 While I will always associate a hazy, jingly jangly sound with that of the warmer months, there is certainly no hardship to be acquainted with the brand new record from Muscle Shoals region based outfit Belle Adair any time of the year. TUSCUMBIA for those not too au fait with the Shoals area geography is a city (a loose affinity to that word) close to where this band operates. It is the latest release on Single Lock Records, a growing label responsible for excellent albums from Nicole Atkins, Dylan LeBlanc and John Paul White over the last year or so. The sound domain of this record is a lock into the description that greeted this piece in the opening sentences and exceedingly excels at it. 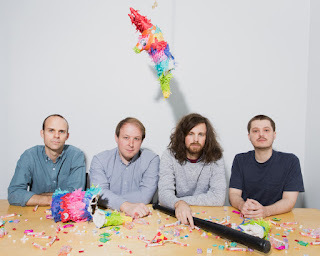 The bonus of having an album-defining track up top has long been championed here and ‘Get Away’ does the job for this, the second album from core four-piece combo Belle Adair. Plenty of harmonious ‘oohs and ahs’ blend into the twangy jangly guitars then emerge to be omnipresent throughout the eleven tracks that form this forty-minute album. While this sound is not what you would expect from, both the area and FAME recording studio where this album saw the light of day, there is certainly a classic American tinge to it, if not necessary pure Americana. Although, association with late 60s California is likely to be referred to, us Brits have perfected the sound, noticeably in the 90s Brit-Pop explosion and more recently in indie bands such as Co-Pilgrim and The Dreaming Spires. Any fans of these three strands of music are likely to find the contents of TUSCUMBIA agreeable. The band led by Matthew Green are as mentioned a core four-piece outfit featuring drums and multiple guitars, but studio keys also play a big part as exemplified by the presence of label co-owner Ben Tanner (Alabama Shakes) as a touring member. The album is a seamless body of work, conventional to grasp and not full of hidden crevices. ‘Out on the Blue’ adopts a minor mid-album tempo switch before ‘Pushing the Stone’ scales the peak of the latter stages. This last track succeeds in replicating the stunning melodies, which greet you in the opener and its sequential follower ‘Long Fade Out’. Repetition is a key to whether you grasp this album or not, and in a rare occurrence for much of the reviewed material here, diversity does not have a major role to play. The vocals reside somewhere in cumulus nimbus territory and allow plenty of room for the multitude of gently strummed guitar riffs to flourish. One certainty is that once you fall under its spell, this record will be very hard to shake off; surely not a too shabby trait to have. The Muscle Shoals area has a rich history of bearing the fruit of music from humble backwater surroundings and projecting it around the world. 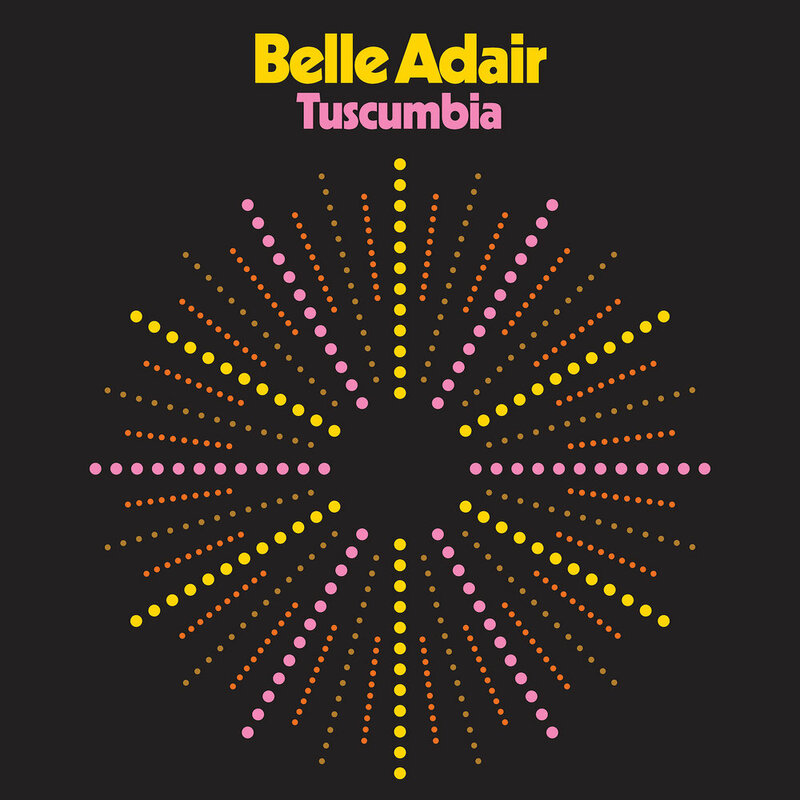 Whether TUSCUMBIA does the same for Belle Adair remains to be seen, but markets do spring up for this type of music and plenty across the pond will be wooed. Conclusively, this album evolves as a swimmingly good record to kick back to and enjoy whatever the season. Mildly revivalist, yet forever appealing.